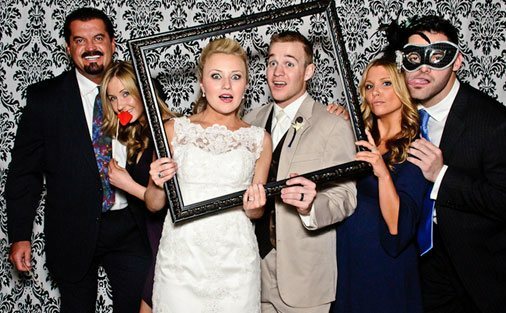 Creative Event Services provides a wide array of entertainment ideas for your special day. State of the art LED Lighting, Exquisite Furniture Rentals, Photo Booths, Interactive Photo Stations such as Flip Books Photos and Insta Photos all can add the finishing touch to a day of memories that will last a lifetime. Wedding Event Planning in the Hartford or New England area can take a lot of effort. Let Creative Event Services make it easier for you in the Boston area as well. Weddings have to be carefully planned to make sure both the bride and groom are happy and that the guests enjoy themselves. This is a happy time for everyone, so make sure that everyone has a fun time filled with memories they will look back on fondly. At Creative Event Services we provide a wide array of Wedding Event Ideas for your special day. We offer everything to make your day stand out. Wedding Event Rentals include state of the art LED lighting, unique furniture rentals and photo booths. Our interactive photo stations such as flip books photos and instaphotos all can add to a day of memories by giving your guests a unique memento. Boston, New York or Rhode Island: no matter where your special day is held we will help make it perfect. Schedule your wedding Event Entertainment through us to get Vegas quality celebrity impersonators or we may even be able to secure the personality themselves through our Hollywood connection. The possibilities are endless and only limited by your imagination and budget. To see how we can help you turn your wedding event into a magical night contact us today.